I finally got to shoot a Kennedy. 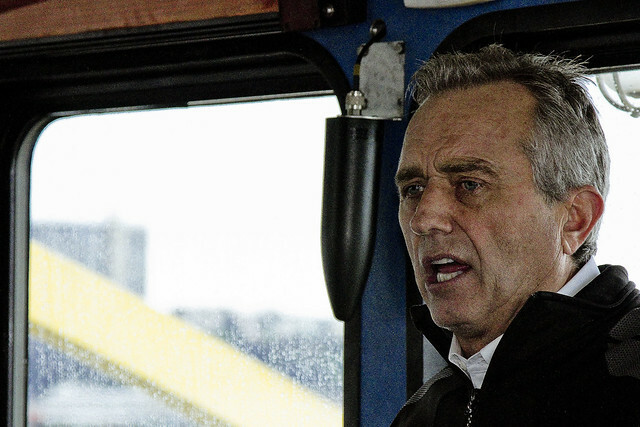 In this case, it was Robert Kennedy Jr., while onboard a NY Water Taxi celebrating the 50th anniversary of the Riverkeeper organization. 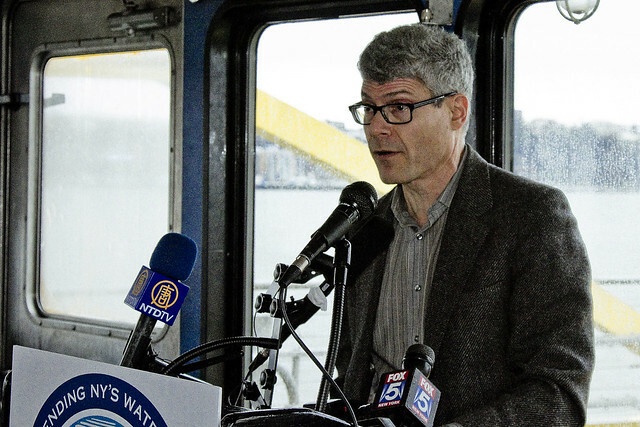 Mr. Kennedy, who in addition to being an environmental attorney and President of Riverkeeper, has a degree in history – offered the assembled group an absolutely fantastic encapsulation of the history of the Hudson River and spoke about the role and history of Riverkeeper in NY Harbor. Before I continue, my continuing practice of listing my conflicts of interest and personal prejudices must be enacted – Newtown Creek Alliance has had a LONG and deep connection with Riverkeeper. Current DEC Commisioner and former Riverkeeper official Basil Seggos, and Riverkeeper Attorney Philip Musegaas are both former board members of NCA. Additionally, I have enjoyed the company and tutelage of Riverkeeper’s patrol boat Captain, John Lipscomb, on more than one occasion, and Riverkeeper’s current representative in my part of the world – Sean Dixon – is both a friend and ally of Newtown Creek Alliance and our goal to “reveal, restore, and revitalize” Newtown Creek. Riverkeeper, as an organization, are the “good guys” in my opinion and I consider being in the company of the organization on this important milestone for them both an honor and a privilege. 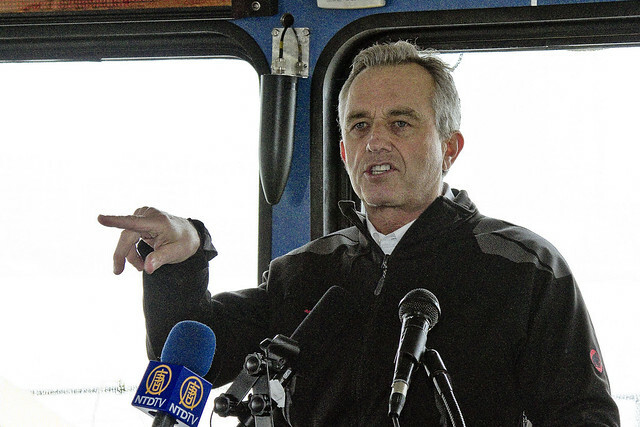 Robert Kennedy Jr. – suffice that whatever you want to say about the storied political dynasty from which he descends, when this fellow starts speaking – you pay attention. Kennedy described the formation of Riverkeeper from the Hudson Fisherman’s Association, and its role in cleaning up the notoriously polluted Hudson River over the last half of the 20th century and its expansion into other domestic waterways and now international efforts. Personally, as someone who has always identified with the liberal wing of the Democratic Party, a humble narrator was absolutely stoked just to be in the same room (or cabin) with him. That’s an actual leader you’re looking at above, and a bit of rock star at that. I’m not alone in this view, of course, and several of my colleagues from Newtown Creek and activists from the larger Harbor of New York and New Jersey were also invited onboard to celebrate the anniversary. Another “actual leader” is Paul Gallay of Riverkeeper. Mr. Gallay assessed Riverkeeper’s current efforts and made a cogent case against the continuing operation of the shoddily constructed and badly managed Indian Point Nuclear Power Plant which is just 45 miles from Manhattan. 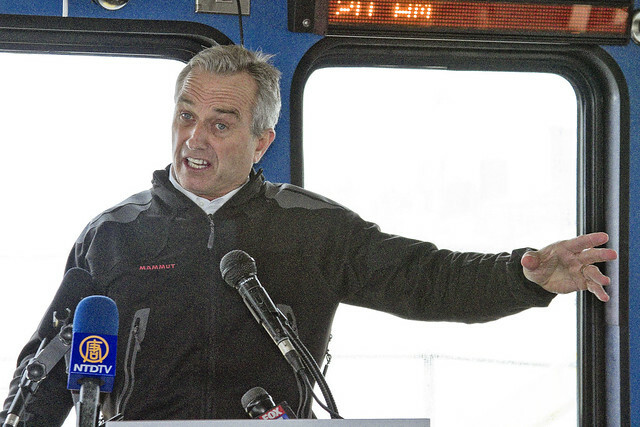 He also discussed the so called petroleum “bomb trains” which have begun populating the rail system in upstate New York, and Riverkeeper’s ongoing battle to ensure a swimmable and fishable state for all of New York’s waterways – big or small. 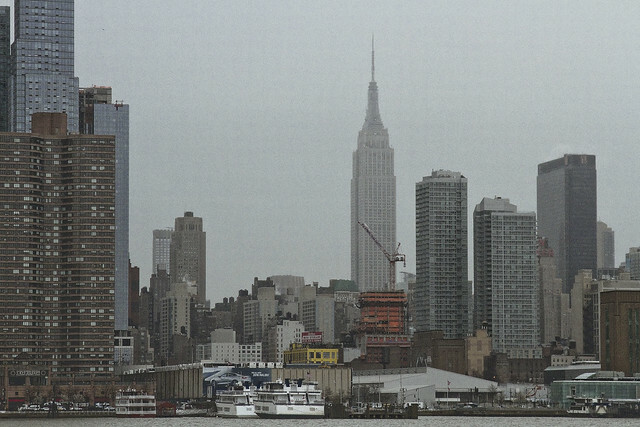 Unfortunately, it was quite rainy and cold when we were out on the NY Water Taxi. I managed to crack out one shot of the surrounding scenery, as evinced above. 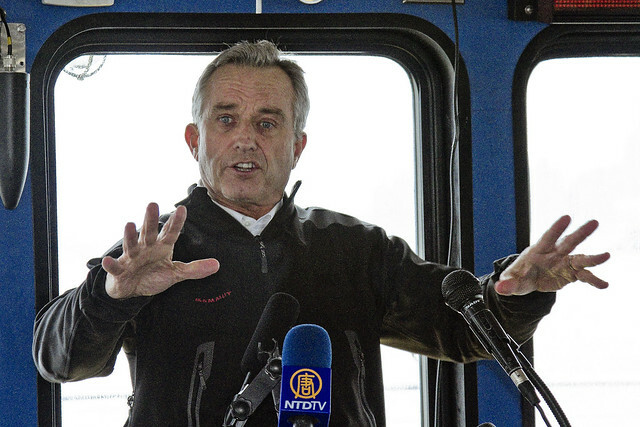 Tagged with Hudson River, Paul Gallay, Riverkeeper, Robert Kennedy Jr. Please edit the shooting joke. Love your emails. Put on your big boy pants and deal with it.